I cannot stress enough how much I love this stuff. Dress it up or eat it straight off the stems with your hands, oil dripping down your chin. I don’t really want to eat kale any other way these days. This recipe’s chewy, smoky, juiciness satisfies me at a very primal level. Plan on one bunch of kale per person. You’ll want to fire up your barbecue for this one. 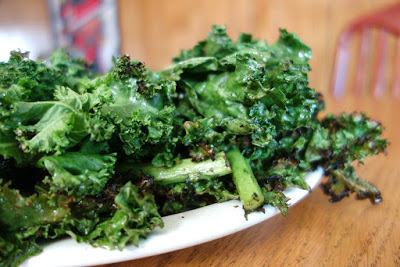 Wash, drain and place the kale in a large bowl. In a blender, blend the garlic, oil, pepper and salt together. Pour over the kale and toss to coat. 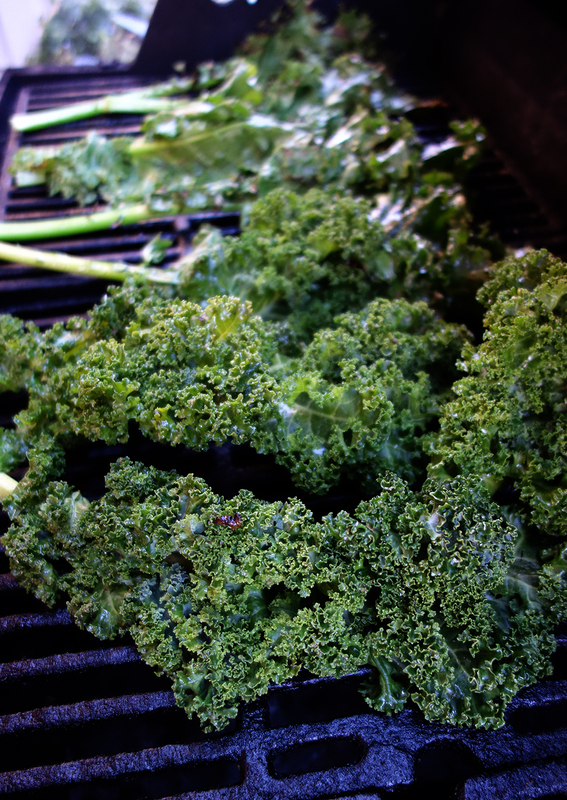 Over low heat, place the kale leaves on the grill. Cook for a couple of minutes and flip, and cook for a couple of more minutes on the other side, until the leaves are soft and edges starting to char just a little bit. Don’t over-grill, as the burnt ones aren’t as awesome to eat. Remove from the grill. Squeeze lemon juice over leaves and go to town. Another way to serve is to chop the leaves off the stems and make a salad. This one is quite amazing.